A gem-collecting quest that's out of this world! 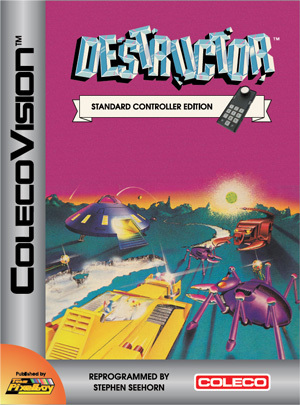 Your starcruiser lands in the hostile alien city of Araknid to collect precious Crystals needed desperately on Earth. Your equipment: the mighty Ram-car. Use your Ram-car to bump Krystaloids, transforming them into precious Crystals! But watch out for the evil Destructor and deadly Insektoids, protectors of the Krystaloids! Can you collect the invaluable jewel-like Crystals and fly home? 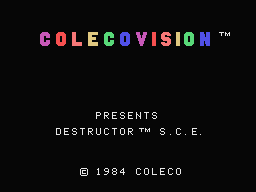 WARNING: This game is NOT compatible with Coleco's Expansion Module #2 (a.k.a. the steering wheel module). For use with regular joystick controllers only.